As February fast approaches, I figured it was high time I put away the Christmas Wreath and dug out my Heart Shaped Valentine wreath. This was one of my favorite projects from 2015 so I thought I’d repost it. It is an easy DIY project that you could definitely get made before February 14. 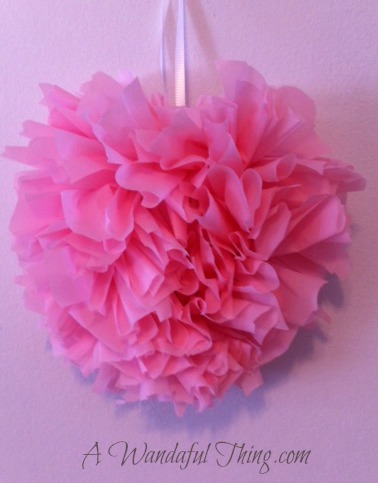 I love Valentine’s Day but I always love to save money and make crafts as frugally and as easily as I can:). I had already been to my local Dollar Tree to purchase some items for my Valentine Tablescape, which included some thin vinyl tablecloths. I could not find a wire coat hanger so I used some wire that I had in my craft drawer. I cut the tablecloth into strips, approximately 1 inch wide by 7 inches long and simply tied them on until I filled the entire hanger. This takes approximately 2 hours, so while this craft is very simple it is time consuming. Great craft to do while sitting in front of the TV. The possibilities with these wreaths is endless. You could use tissue paper, fabric or ribbon. I had some vinyl pieces left over and decided to make another wreath, this one quite small and I used the leftover pink vinyl pieces. I am going to send this to my daughter, I hope she likes it and thinks that it is A Wandaful Thing!!! 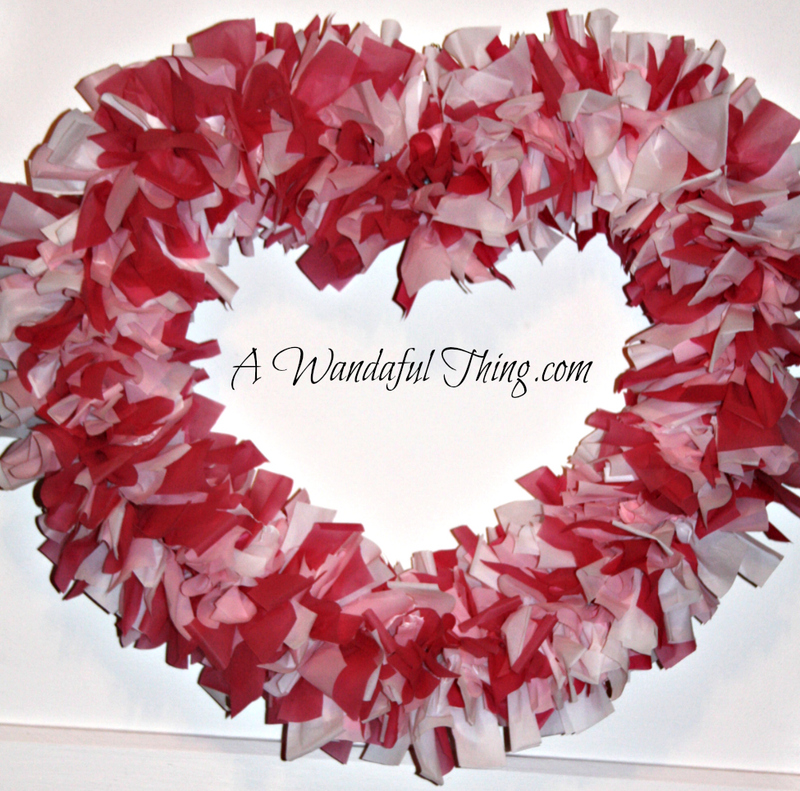 This entry was posted in Decorate, DIY and tagged cheap, Crafts, Decorate, DIY, easy, happy, ideas, living, repurpose, simple, Valentine, vinyl. Bookmark the permalink. I found this great idea and included a link to it on a post that I did on Valentine craft ideas. I came over to make sure you got a pingback and I see that you did. Thank you. I’m thinking of Spring colors yellow, blue, purple. Your right endless possibilities. I’m on it. Thanks.